Mall of Qatar is inviting everyone to shed the winter season and ‘Summer Up’ from March 28 to April 27. In collaboration with the mall’s retailers, the best trends from around the mall will hit the catwalk during 38 fashion shows. 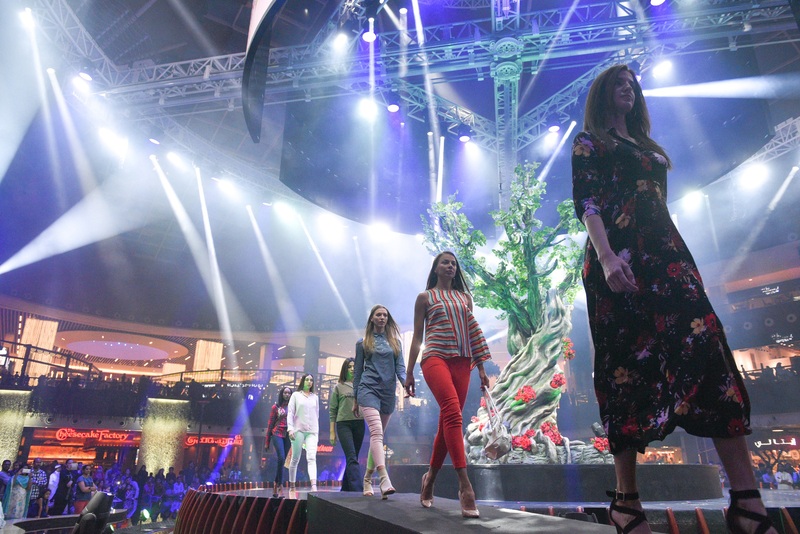 The fashion shows, taking place across two weekends (28-30th March and 4-6th April), will be featuring women’s, men’s and children’s Spring/Summer collections from 47 of shoppers favorite brands including Pronovias, Per Lei Couture and Sacoor Brothers, among many more. Popular stylist Marta Bevin will also give shoppers the opportunity to learn more about their body shape, understand which colors are best for them and get trend advice at the Styling Booth at the Oasis. In addition to that, you can also take advantage of free make-up sessions including hints and tips of using the latest products, colors and techniques from The Body Shop, Debenhams, Pari Gallery and more. As part of the Fashion Festival, Mall of Qatar will also run a Shop & Win promotion to reward its shoppers with 10 Gift Cards of QAR 5,000. From March 24 to April 27, for every QAR 250 spent at any of the mall’s shops or eateries, customers can claim coupons at Mall of Qatar customer service desks (purchases at multiple retailers may be combined to reach QR 250 in total). The draw will take place on April 28, 2019 at 12 pm. The 10 lucky winners will be announced on the mall’s social media pages. By pioneerseo• 2 days 6 hours ago. By pioneerseo• 4 days 5 hours ago. By ianmugoya• 5 days 8 hours ago. Fashion in cut and style is really one of a kind that continues to advance. By Imran Ahmed3• 6 days 21 hours ago. By annashetty• 1 week 5 days ago. By pioneerseo• 2 weeks 2 hours ago. By josef304• 2 weeks 5 hours ago. I've read this post and if I could I desire to suggest you some interesting things or suggestions. Perhaps you could write next articles referring to this bing ads $100 coupon 2019 article. I want to read more things about it! By Rowan020• 2 weeks 5 days ago. This is unrealistically a sublime article. Your article is astounding and your article has for each state of the mammoth substance with a decent solbat-aparatoscientificos.com with illuminating information. Tolerantly don't stop you notable position structure keeps it up.